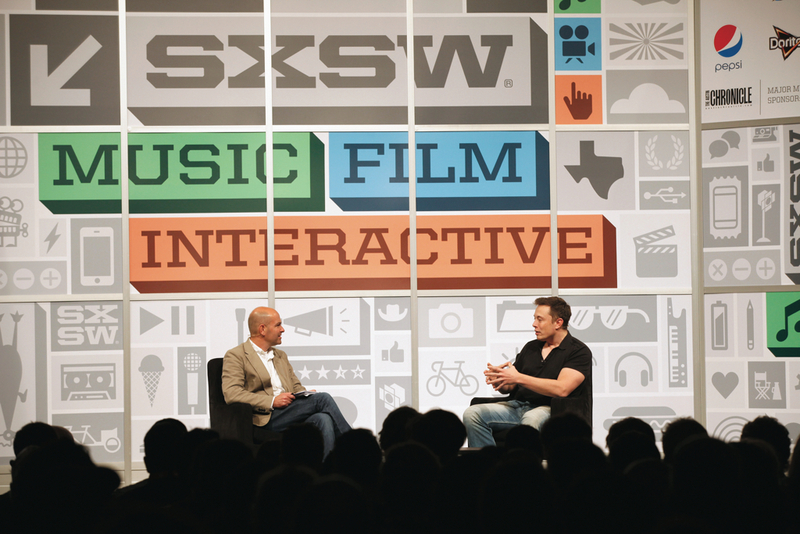 SXSW is one of the only times a year you get some of the smartest, wealthiest and most powerful people in the world all in one place in a relaxed environment. You didn’t really spend thousands of $$ to come to Austin to get drunk with a bunch of people you already know, did you? Engineering your own serendipity at SXSW isn’t that hard. All it takes is a little work, a little hustle and a little “luck” but it can get you the whole ROI of your trip in one night. I put “luck” in quotes because you create this by being prepared and placing yourself in the right positions. Take my Saturday afternoon and evening for example. At about 5pm I was “air traffic controlled” by one of my mentors, Larry Chiang, to a private mixer being hosted by Goodwin Procter taking place at Parkside on 6th. I arrived a little early to beat the line (always smart) and grabbed a spot at the bar to wait for the festivities to begin. While waiting none other than my good friend Suraj Kumar Rajwani, Founding Partner of Double Rock VC, sat down next to me with his friend Lou Kerner, Founding Manager of the Social Internet Fund. Suraj gave me a glowing introduction then the three of us hit it off. It turns out that I was the first person Lou had ever spoken with that had previously heard about his semi-stealth startup. This is where you could call it luck that I happen to meet Lou and happen to know about his startup, but really it’s because I put a lot of work into knowing my space very well. In this case it gave me a little more credibility from Lou. One thing to keep in mind is how you carry yourself when with people out of your league. Being kind and respectful is a given, but what is less known is the best thing to do is shut up and listen. This doesn’t mean be silent, but don’t try to dominate the conversation or talk a lot about your accomplishments. No one cares. Instead listen, learn and interject with intelligent answers and snippets when the time is right. Trust me this can go along way. Anyways so after Suraj, Lou and I spoke for a little while, we began to mingle at the party. They made plenty of great introductions for me (thanks guys!) including one that led to a partner at Goodwin Proctor agreeing to speak about law for startups at our next conference. Score, closing deals at the party! At this point the mixer was winding down and I figured it was time to head our separate ways. Boy, I couldn’t have been more wrong. The night was just beginning. Suraj invited me to come with him down the street to the KPCB Startup Salon taking place at the Iron Cactus. This is where you throw all previous plans out the window and go with the flow. After we arrived to the Iron Cactus, I decided to take off from Suraj for a while because you never want a VIP to feel like you’re clinging to them. It was off to work the room on my own. I ended up meeting so many awesome founders, angels, and VCs. All the while, I never stopped hustling or trying to close deals. Surely I had gotten the complete ROI of my SXSW in this night alone so far, but Suraj had one more trick up his sleeve. He said that Sean Parker was holding a private Spotify Party at ACL. I was very grateful to Suraj for telling me about the party but didn’t want him to feel burdened with another +1. This is where a little ingenuity comes into play. I had two options. One) try to BS and say I was meeting someone on the list or Two) sneak in. Ninety nine percent of the time I go with option one but this party was too VIP so I had to go with option two. I knew there was a back elevator that went from outside the W Hotel up to ACL. All I did to get in was take this elevator to the party and walk out like I was supposed to be there. It’s amazing what walking with confidence will do. This party ended up being the pinnacle of my whole week. Hell, maybe my life so far. Once inside I ended up rubbing shoulders with the likes of Mark Cuban, Ashton Kutcher, Coolio and of course Sean Parker. It was amazing. Now at a party like this, my previous advice about shutting up and listening comes even more into play. I gained a number of great nuggets of wisdom, heard some stories you just won’t anywhere else and found out Coolio was cooking dinner for everyone back in his room at 3 am. No, I did not try to attend, but if you caught any of Coolio on season one of Food Network’s Celebrity Cook-Off, you can bet those in attendance we’re in for a treat. All in all, that night taught me you can never plan for what’s going to happen next at SXSW, but you can be prepared. Things surely would have been much different if I didn’t have someone like Larry helping me out, previous relationships from using similar tactics at other events, or didn’t know how to interact with VIPs. Engineer yourself some serendipity at SXSW next year by putting the work in beforehand and always having the right attitude. If you work with contractors (or freelance on the side), you know what a pain those contracts can be. You’re always worried about the language being just right, or you never have a copy when you need one. New York-based Shake is changing that for you. The company has developed an iOS app with standard legal templates, written in plain English. 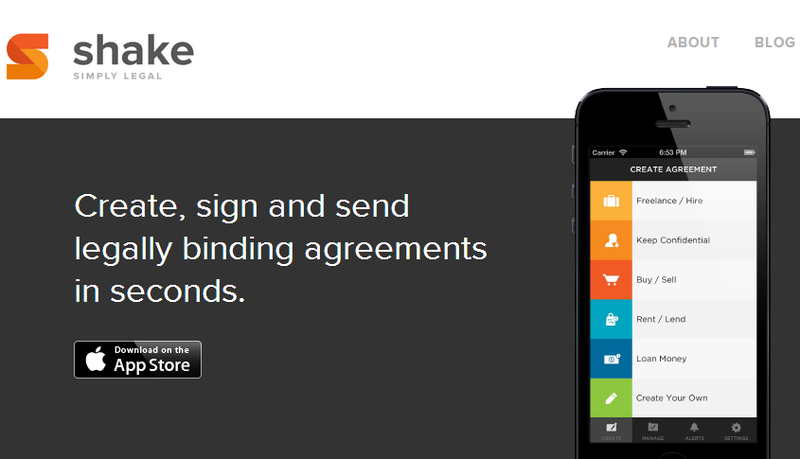 You can download the template in the app and use e-signature technology to close the deal. All from the coffeeshop of your choice. Shake’s found, Abe Geiger, had some experience doing contract work himself, so he understood the frustrations. His co-founders Jon Steinberg (President & COO of Buzzfeed) and Jared Grusd (General Counsel at Spotify) experienced the frustration from a different point of view. As executives in big companies, they wanted an easier way to work with their contractors, without making life harder for the freelancers. So they founded Shake in 2012. Steinberg and Grusd remained at their companies and took board seats at Shake, while Geiger built out operations. The goal of Shake is to make peer-to-peer deals light, simple, and easy to understand. With that in mind, the company’s Chief Legal Officer Vinay Jain, and his team of law students, translate all standard contracts into plain English. Geiger told me it took them 9 months to get the first batch of templates ready because they were so focused on getting all the wording just right. We asked him if the contracts would hold up in court, but he pointed out that most peer-to-peer deals are so small, they rarely end up in court. “Getting things in writing in plain English decreases disagreements,” he pointed out. Last week the company announced a $3 million Series A round, led by SoftBank Capital. “The economy is shifting such that small businesses and freelancers are doing more business than ever, and they need to be able to make simple but effective legal agreements on the go,” Jordy Levy, Managing Partner at SoftBank Capital, said in a statement. Levy will join Shake’s board. Currently, Shake has an iOS app with several simple templates. They plan to use the new capital to expand their template bank, build out web and Android platforms, and hire some great talent. To find out more about Shake, visit their website or follow them on Twitter. What happens when you put the founders of 30 startups together on the first day of an accelerator? They make a music video. Of course. By now 500 Startups is pretty well known for the video each new batch makes at the beginning of the program. Each video is a humorous introduction to the latest cohort and often points to some funny aspect of startup life. Batch 006 parodied Macklemore’s hit Thrift Shop, and Batch 005 produced Sh*t 500 Founders Say. This week, 500 Startups announced Batch 007. (And we’ve already covered one of their new companies.) Besides MailLift, there are 29 companies in the newest batch, including a biotech company, an electric skateboard company, and a micro-publishing platform. There are even a few “unsexy” startups that are innovating things like inventory management. We love 500 Startups here at Nibletz because even though the accelerator is in the Valley, they always bring teams in from around the world. This cohort is no different. They hail from places like Sweden, the UK, Italy, Brazil, China, Thailand, Taiwan, Australia, Milwaukee, and Nashville. 500 Startups is also does diversity pretty well. There are 5 female founders (not their best, but still pretty good), and a dozen teams are from outside the United States. And for their video, batch 007 remade the popular song Royals. Filled with move in day antics–including a game that involves buckets on heads?–the video claims that this new batch will never be normal. No Y-Comb envy here; the newest batch of 500 Startups is ready to go. Check out the video below, and find out more about 500 Startups Batch 007. 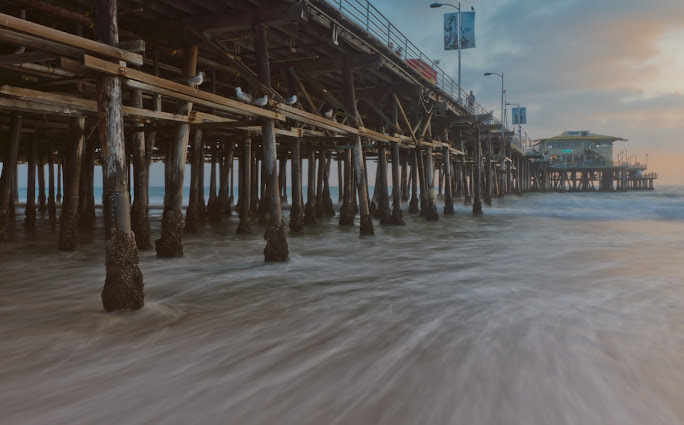 This post may be a little outside of our mission here at Nibletz to be “The Voice of Startups Everywhere Else” but after reading Josh Miller’s, founder of Branch, Tenth Grade Tech Trends the conversation seems appropriate. Over the holidays I was lucky enough to head back to my hometown in Indiana to spend plenty of quality time with my younger siblings. My siblings are your typical, Midwestern middle school and high schoolers. One Direction and Taylor Swift dominate their Pandora while interacting with friends is priority number one. My two sisters are 13 and 16 respectively and my brother is an 18 year old senior. My youngest sister, 10, would cry if I didn’t mention her but her thoughts are not discussed. Although it should be noted her and her friends are already addicted to Instagram, using my parents’ phones to check it whenever she gets the chance. I asked the older three a wide range of questions about their usage of social media and the overall sediment amongst theirs peers of the various networks. What I heard was a bit of a shock. The biggest surprise had to come when I asked my 13 year old sister if she used Facebook? “No, it’s for old people and it’s stupid! Nobody has it anymore.” (yes, I realize you’re supposed to be 13 to have a Facebook account but the majority of her friends we’re on it well before). While I laughed at her choice of words, my jaw almost hit the floor. Is it true? 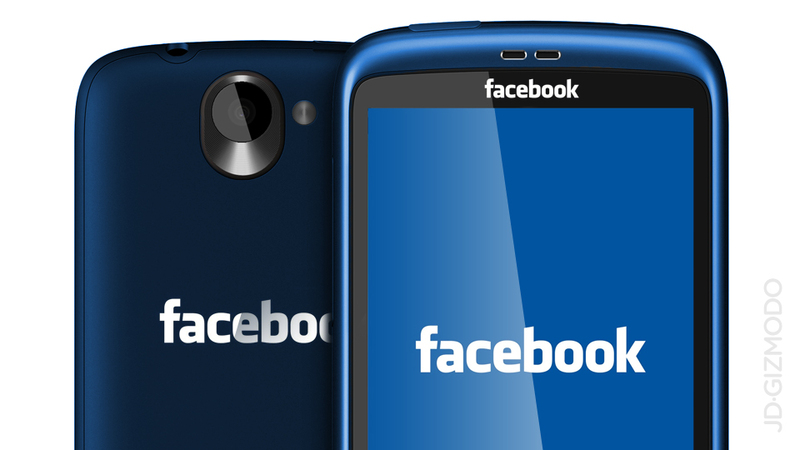 Has Facebook become so “uncool” that they had all already left? I heard similar responses when I asked the other two. My brother had recently deleted his account but said that many of his friends hadn’t because, “their whole high school career is on there.” It seems my brother’s friends, who mostly adopted the service about four years ago, currently use it to look back at the good times they’ve had, not to post new content. I got a very difference response when I asked them about Instagram. Each uses it everyday. It has completely replace Facebook as their default photo service. This echoes Josh’s takeaway that Facebook was smart to buy Instagram. I found a little different response. Both my brother and 16 year old sister, along with “most” of their friends, check it daily (but less than Instagram). However, It’s primary function for them is to broadcast things that make them look funny or cool and to find out what their friends are doing, not to find links and join interesting conversations. The 16 year old said her friends are really into sharing quotes and other things to get them more retweets and followers. As for the youngest, “None of my friends use it.” The 16 year old was relatively new to the service while my brother had been on it for a few years. This lead me to believe Twitter is adopted more as they get older. Now it was time to ask about Snapchat. Is it really a sexting app? This makes me wonder, is Snapchat a fad? More of a viral service that goes out of vogue after receiving the 1000th picture of your friend pulling their cheeks apart in the mirror? Teens are “so over” Facebook. 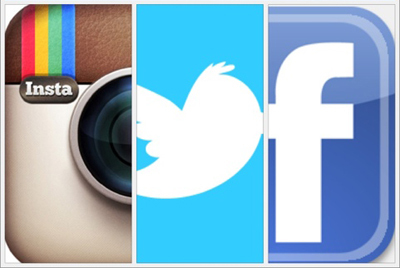 Instagram is now the de facto photo sharing app. Twitter has their foot in the door. Snapchat isn’t just for sexting. While these observations are clearly anecdotal and are by no means meant to be scientific (I can hear the comments on Hacker News now), it does provide another interesting look at how teens are currently using the world’s largest and fastest growing social networks. Let me know what you think? Does this go along with what you’ve seen or is my family an anomaly? 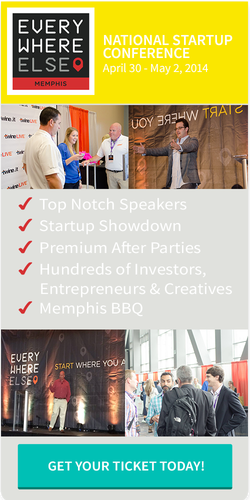 Tomorrow at 2pm PST we’ll be broadcasting live from SBF Demo Day presented by StartEngine. As well as broadcasting from other events live throughout the whole event that starts tomorrow. Panels ranging from Meet The Accelerators to How To Hire A Developer. Into coding and actually products, don’t worry as StartEngine has you covered with a full 48 hours Hackathon going on throughout the event. Quick hint, teams from Disney are among those who’ll be showing up to show us what they can do. Over the past weekend both Kyle and I were at startup events, and if you think with all the events so far this month the two of us have been covering is enough you’d be wrong. 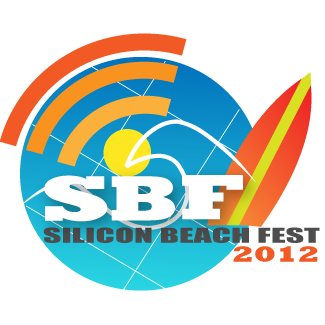 Later this month I’ll be covering Silicon Beach Fest in Santa Monica California from June 21-23rd. Organizes by Kevin Winston formally of MySpace, and current CEO of Digital LA. 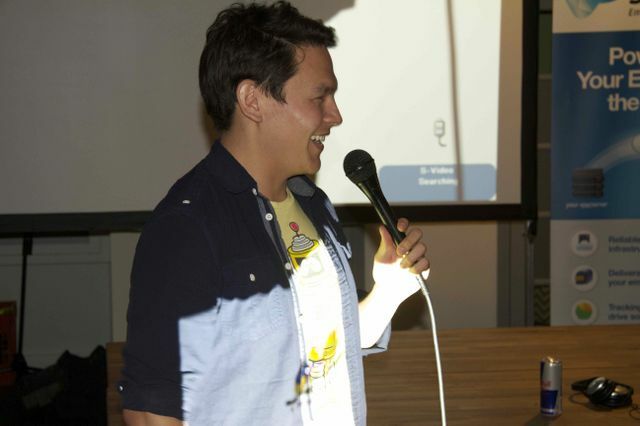 Jason Crilly, CEO and Founder of Pagewoo and Efren Toscano. Founder of TechZulu an independent news organization delivering an insightful story of the technology industry by showcasing the very people creating it. 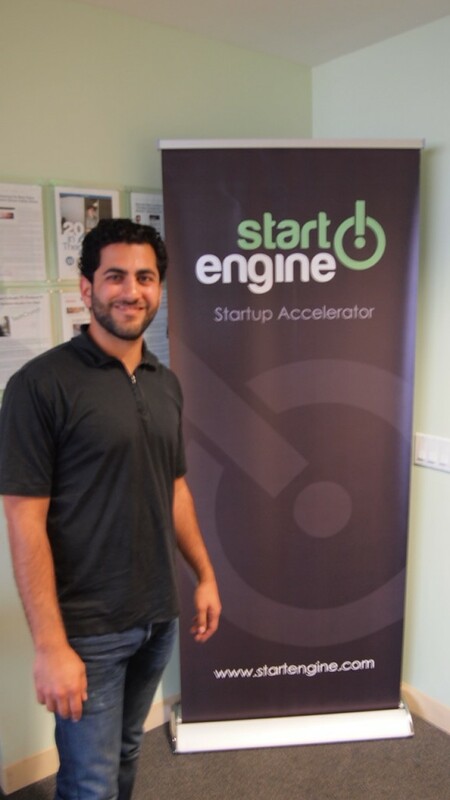 Brought together he top Startup Incubators in the Los Angeles area such as Start Engine, io/LA, Idealab, Amplify and others. For this start studded event. When Kevin Winston was questioned about what brought him to creating Silicon Beach Fest, he mentioned to me. We are here at Hollywood Hack Day, on a gloomy Sunday in Hollywood California covering what has turned into 70+ programmers from all over So Cal into one place. 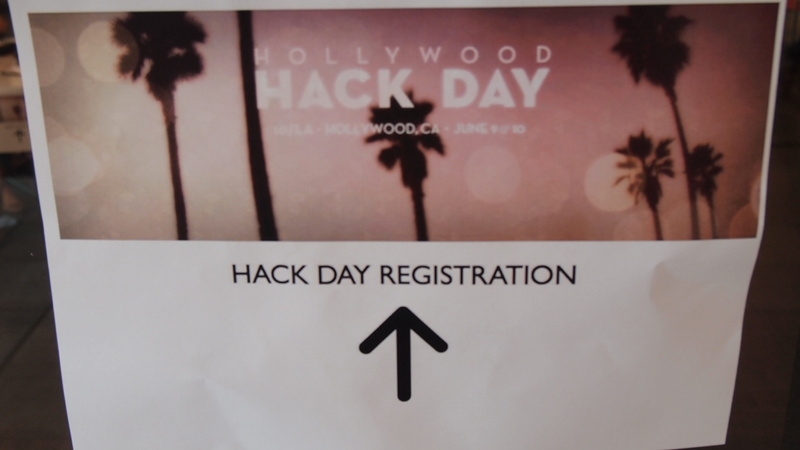 The idea behind Hollywood Hack Day was to bring Media and Tech together into one. With sponsors like Rovi, ToxBox, Mashery, Rdio, Spotify just to name a few, the programmers here have been coding all throughout the night. We’ll be covering all the goings on today as well as later tonight and tomorrow have full videos on all the pitches and the winners as the night goes on. This weekend, while Kyle will be on the East Coast at another Startup event. 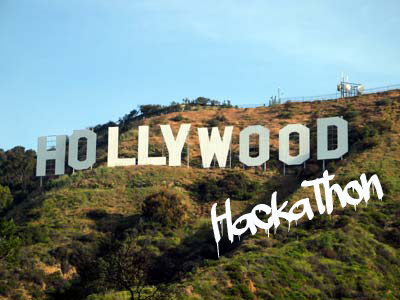 I’ll be at a Hackathon on the West Coast covering the Hollywood Hackathon. The event, which has moved to io/LA’s venue near the famed Hollywood and Highland intersection in the middle of Hollywood. 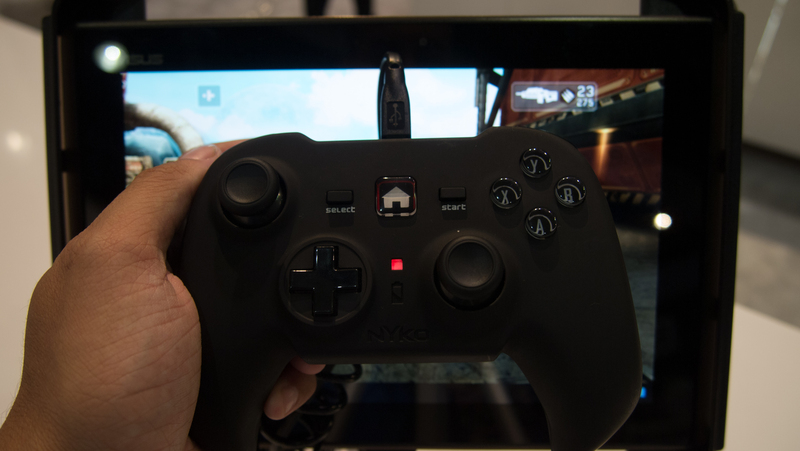 Will be filled with those trying to make it into the entertainment field by way of Tech.